Gadsden County Farm Bureau spearheads a Farm City Week each November to celebrate and bring awareness to the necessary partnerships between farmers and city residents. Local county officials, legislators, school board members, law enforcement and media are invited to a celebratory breakfast to recognize the farmers and ranchers who grow the food on the dinner plate. 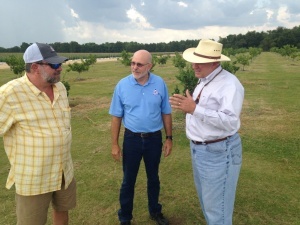 The county also hosts a Legislative Farm Tour for legislative aides and area congressmen to gain a better understanding on local agriculture.